ACTOR Martin Clunes helped put puppet horse BHS Bertie through its dressage paces when he visited Badminton Horse Trials in his role as president of the British Horse Society. 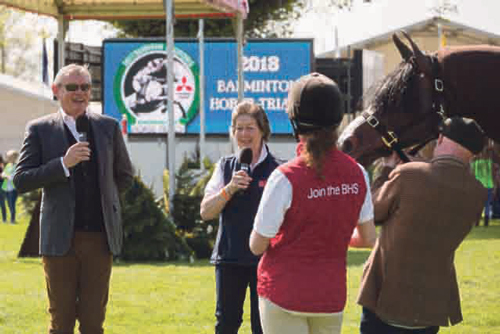 The organisation was the event’s charity for the year and Mr Clunes - best known for his Doc Martin and Men Behaving Badly roles - joined past Badminton winner and former Bristol nurse Jane Holderness-Roddam in the main arena to see how Bertie operated. The star also met volunteers, members and staff on the society’s main stand, while Bertie, which moves in a similar way to the War Horse equine puppets, got to meet two patrolling Avon and Somerset police horses.